This year’s North American International Auto Show was very busy for Volkswagen. Indeed, the German automaker unveiled two very important models starting with the 2019 Volkswagen Jetta. Obviously, VW’s latest compact sedan attracted the most attention, but there was also another noteworthy model: the 2018 Passat GT. The 2018 Volkswagen Passat GT is essentially a more powerful and aggressive Volkswagen Passat. It will be available this year in four colours, ranging from Pure White to Deep Black. It will stand out visually, with a GTI-like design that incorporates R-Line bumpers, 18-inch wheels, and more. Under the hood, the 2018 Volkswagen Passat GT gets a 3.6-litre V6 engine that delivers 280 horsepower and 258 pound-feet of torque. This engine will be paired with a six-speed DSG automatic transmission and paddle shifters. The suspension has also been tuned to be sharper, which should translate into better performance on a winding road. Finally, the exhaust system is also different, and will sound more forceful. Inside, a touchscreen infotainment system along with Apple CarPlay and Android Auto are standard. 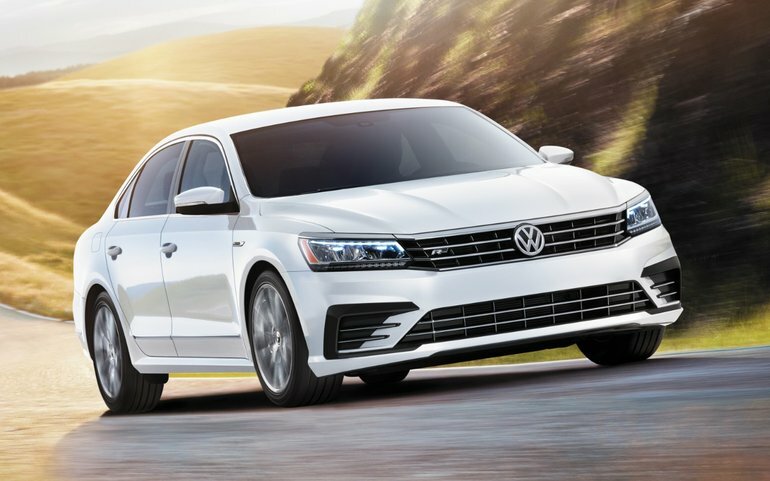 To learn more about the 2018 Volkswagen Passat GT, contact us today at Simcoe Volkswagen!